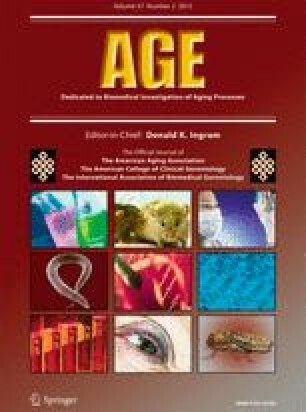 Cellular senescence was first reported in human fibroblasts as a state of stable in vitro growth arrest following extended culture. Since that initial observation, a variety of other phenotypic characteristics have been shown to co-associate with irreversible cell cycle exit in senescent fibroblasts. These include (1) a pro-inflammatory secretory response, (2) the up-regulation of immune ligands, (3) altered responses to apoptotic stimuli and (4) promiscuous gene expression (stochastic activation of genes possibly as a result of chromatin remodeling). Many features associated with senescent fibroblasts appear to promote conversion to an immunogenic phenotype that facilitates self-elimination by the immune system. Pro-inflammatory cytokines can attract and activate immune cells, the presentation of membrane bound immune ligands allows for specific recognition and promiscuous gene expression may function to generate an array of tissue restricted proteins that could subsequently be processed into peptides for presentation via MHC molecules. However, the phenotypes of senescent cells from different tissues and species are often assumed to be broadly similar to those seen in senescent human fibroblasts, but the data show a more complex picture in which the growth arrest mechanism, tissue of origin and species can all radically modulate this basic pattern. Furthermore, well-established triggers of cell senescence are often associated with a DNA damage response (DDR), but this may not be a universal feature of senescent cells. As such, we discuss the role of DNA damage in regulating an immunogenic response in senescent cells, in addition to discussing less established “atypical” senescent states that may occur independent of DNA damage. We wish to thank Adi Sagiv and Anat Biran for reading our manuscript and for helpful suggestions. RGAF is funded by the Glenn Foundation for Medical Research.